A Patrick Cutrone double in extra time secured Milan's passage into the last eight of the Coppa Italia after a hard-fought 2-0 win over Sampdoria at the Luigi Ferraris. Sampdoria began the game well, getting forward whenever possible and were testing Pepe Reina in the visiting goal, but couldn't find a way past him in the opening stages. Then on the stroke of half time after a sluggish first 45 minutes from the visitors, Milan had two golden opportunities. Franck Kessie played a lovely ball through the Sampdoria defence which ​Gonzalo Higuaín got on the end of, managing to get his shot away but failing to steer it on target. Just minutes later, Samu Castillejo got his head on the end of an Ignazio Abate cross, however again he couldn't get his header on target as the teams went into the break level. ​Milan looked more positive in the second half, and Higuaín thought he'd put his side ahead with 15 minutes remaining, however his goal was disallowed with the assistant's flag raised for offside. Neither team could find a breakthrough in normal time, and the game went into extra time. Sampdoria kept pressing for an opener, however it was the visitors who struck first in extra time courtesy of two substitutes. Andrea Conti had only been on the pitch a matter of minutes, however he delivered a very inviting ball which Patrick Cutrone - who had come on at the start of extra time - managed to get on the end of and he poked the ball home to give Milan the lead. The 21-year-old then secured Milan's passage through after Hakan Calhanoglu floated an inviting ball over the opposition defence, with Cutrone then executing a lovely volley which lobbed Rafael Cabral in the home goal. Starting XI: Cabral (7); Sala (7), Andersen (8*), Tonelli (7), Murru (7); Praet (7), Ekdal (6), Ramirez (7), Linetty (6); Quagliarella (7), Caprari (7). Substitutes: Jankto (7), Saponara (6), Defrel (6), Kownacki (6). Despite the fact they secured their passage into the last eight of the competition, it was largely a very underwhelming performance by Milan. They were creating chances, but they really struggled to find an end product - even with the likes of Higuaín leading the line. Not only going forward, Milan often found themselves penned back in their own half as Sampdoria looked to take on the Milan defence and often found themselves winning the battle. Thankfully for Gennaro Gatuuso and his men, their blushes were spared in extra time by some inspired substitutions, but there will be a lot for the manager to think about going forward as his side's struggles continue. Starting XI: Reina (8); Abate (6), Romagnoli (6), Zapata (7), Rodriguez (6); Kessie (7), Bakayoko (6), Paqueta (8); Castillejo (7), Higuaín (7), Calhanoglu (7). Substitutes: Borini (6), Cutrone (9*), Conti (8), Laxalt (6). 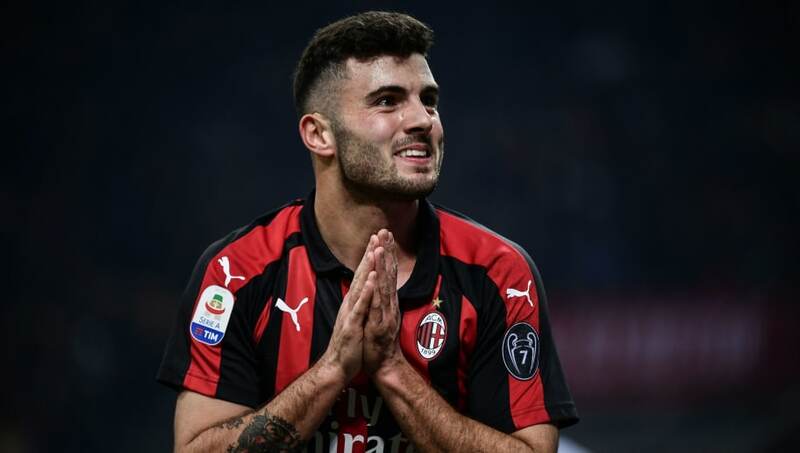 STAR MAN - After what was a far from convincing 90 minutes from the visitors, Cutrone was sent on at the start of extra time in the hope of winning the game for his side, and he did just that. World class from Cutrone. Are you kidding me. Nice switch from Calhanoglu and a first time clinical finish from Cutrone. He got the crucial breakthrough after getting on the end of a fine cross from Conti, before then killing the game off with a delicate volley which lobbed the keeper. He was given just half an hour to impress, but in the end that was all he needed as he made the difference. WORST PLAYER - In a game where both teams looked to get forward, Ricardo Rodriguez struggled at both ends of the pitch. Sampdoria looked to trouble the Milan defence all game and Rodriguez seemed to struggle to cope with the onslaught he was met with. At the other end, the Swiss international struggled to create any clear chances for his side. It was unfortunate as we've seen what the left-back can do in terms of his technique and delivery from both out wide and set pieces, but Saturday night will go down as one he'd like to forget. It will be a tough loss to take for Sampdoria, however they'll need to pick themselves up and dust themselves off as they prepare to travel to face Fiorentina on Sunday afternoon in ​Serie A, whilst Milan will also be looking for an improved performance when they face Genoa on Monday afternoon.